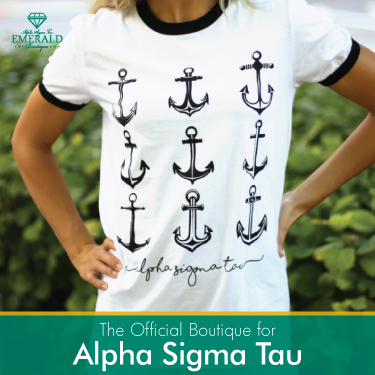 The Alpha Sigma Tau National Foundation is proud to offer annual giving levels to recognize individuals or chapters contributing $100+ within one calendar year (January 1 – December 31) to any of the Foundation’s initiatives including the Anchor Fund, Leadership Fund, Alpha Sigma Tau Future Fund, and Scholarship Funds. Your tax-deductible gift to the Alpha Sigma Tau National Foundation is empowering women and growing the future. Thank you! The Alpha Sigma Tau Foundation is pleased to recognize individuals, chapters, foundations, and businesses contributing $100+ annually (January 1 – December 31, 2019) to any fund through Annual Giving Circles. Annual giving is integral to the success of our organization, and your generosity is truly appreciated. Thank you! Please note: Your privacy is our priority. If you believe your name should be represented on this list and you do not see it, you may have indicated anonymity during a gift process. Please email foundation@alphasigmatau.org and, if applicable, we will add your name upon request. Similarly, if you would prefer not to be listed in this recognition, we are happy to remove your name upon request. Thank you again for your generous and continued support. The Alpha Sigma Tau Foundation is pleased to recognize all members contributing to the Alpha Sigma Tau Foundation in 2019 by their initiating or preferred chapter. Thank you! The Alpha Sigma Tau Foundation is pleased to recognize individuals, chapters, foundations, and businesses contributing $100+ annually (January 1 – December 31, 2018) to any fund through Annual Giving Circles. Annual giving is integral to the success of our organization, and your generosity is truly appreciated. Thank you! The Alpha Sigma Tau Foundation is pleased to recognize all members contributing to the Alpha Sigma Tau Foundation in 2018 by their initiating or preferred chapter. Thank you! The Alpha Sigma Tau Foundation is pleased to recognize individuals, chapters, foundations, and businesses contributing $100+ annually (January 1 – December 31, 2017) to any fund. Annual giving is integral to the success of our organization, and your generosity is truly appreciated. Thank you! The Alpha Sigma Tau Foundation is pleased to recognize individuals, chapters, foundations, and businesses contributing $100+ annually (January 1 – December 31, 2016) to any fund. Annual giving is integral to the success of our organization, and your generosity is truly appreciated. Thank you! Kenneth & Hazel Roe Foundation, Inc. The Alpha Sigma Tau Foundation is pleased to recognize individuals, chapters, foundations, and businesses contributing $100+ annually (January 1 – December 31, 2015) to any fund. Annual giving is integral to the success of our organization, and your generosity is truly appreciated. Thank you!